The team chosen by the City of Issy-les-Moulineaux to manage and run Le Cube was built around the ART3000 association, set up in 1988 by brothers Florent and Nils Aziosmanoff, joined by Stéphanie Fraysse in 2000 and Hélène Gestin in 2004. ART3000, a pioneer in the fields of art and emerging technologies in France, has brought together from the outset all kinds of artists, musicians, graphic designers, stage and film directors, visual artists, architects and designers who all share an interest in the influence of emerging technologies on creative practices. Renowned for its enthusiasm, the ART3000 association soon set up a team of several hundreds of volunteers, and in a few years developed an international network of several thousands of professionals. It organised over 1000 artistic events in France, but also in Tokyo, Boston and Montreal, published the NOV’ART magazine, sold in newsstands for several years, and set up, in partnership with Sun Microsystems, a Creation Workshop dedicated to “3D real-time” technology. 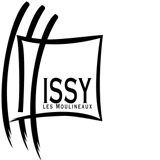 This purposeful activity brought recognition from the international artistic community, represented at the time by the international electronic arts association ISAE. In 1998, following ISEA’s international call for projects, ART3000 was chosen to organise ISEA2000 - the International Symposium on Electronic Arts – in Paris, a major symposium for digital creation professionals, with over 30 participating countries. Over the years, ART3000 fine-tuned its project to create a space entirely dedicated to digital creation, following the example of what was already taking place in Canada, Japan and Germany. The association was then looking for a local authority to support such a project. Few in France were yet to be interested but, in the year 2000, the town of Issy-les-Moulineaux – whose mayor, André Santini, is a key player in the field of emerging technologies – welcomed the opportunity straight away. Le Cube opened its doors in 2001. Le Cube is an initiative created in 2001 by the city of Issy-les Moulineaux, as the Grand Paris Seine Ouest's centre for digital creation. It is organised and managed by the ART3000 association. 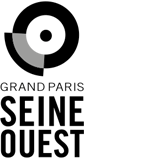 Grand Paris Seine Ouest (GPSO) brings together the 8 towns of Boulogne-Billancourt, Chaville, Issy-les-Moulineaux, Marnes-la-Coquette , Meudon, Sevres Vanves and Ville d'Avray , more than 314 000 inhabitants. 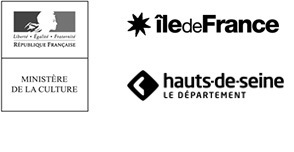 Its role as a pioneering community that has successfully developed by focusing on digital technology is recognised far beyond the borders of France (it is the only French town to have featured three times in the "Top Seven Intelligent Communities" of an American think-tank, and it takes part in numerous European projects). Issy-les-Moulineaux has been labelled a "Living Lab": an innovation laboratory on a human scale. Le Cube, created in 2001 at the initiative of the city of Issy-les-Moulineaux, is part of Grand Paris Seine Ouest. It is managed and run by the ART3000 association. 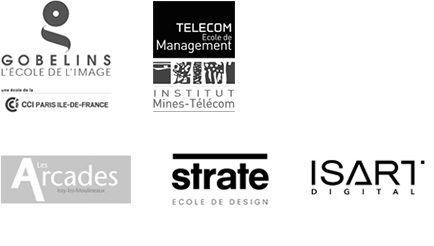 Le Cube is a member of clusters Cap Digital and Systematic Paris-Region. Nils Aziosmanoff (Président), Stéphanie Fraysse (Vice-Présidente), Jean-Pierre Alix (Trésorier), Flavien Bazenet, Xavier Boissarie, Carol-Ann Braun, Roland Cahen, Thierry Chevillard, Pierre de la Coste, Magda Danysz, Félicie d’Estienne d’Orves, Diana Filippova, Etienne Krieger, Joël Paubel, Philippe Perennez, Bruno de Sa Moreira, Laurent Sorbier, Sylvie Tissot, Gilles Vercken.